We track millions of social media posts and use machine learning to determine sentiment for hundreds of cryptocurrencies in real-time. Below is real-time sentiment of tweets for Ethereum over the last few days. 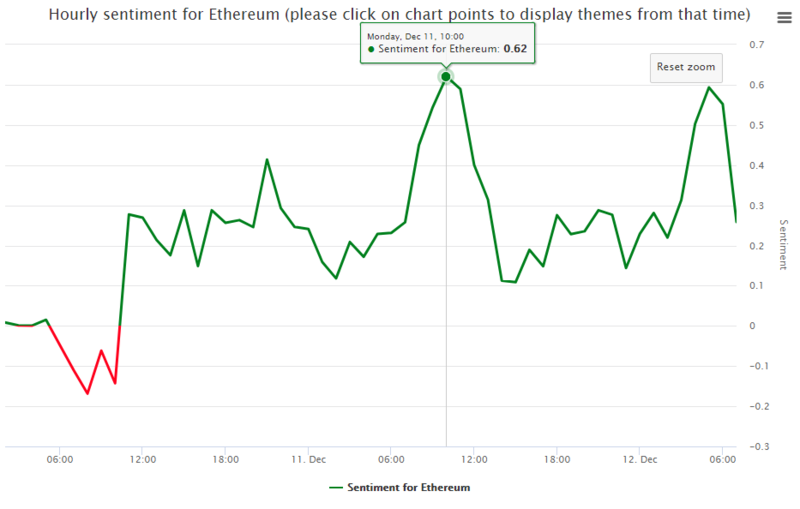 The real-time sentiment of Ethereum made a major sentiment spike reversal on 8am 11th December (UTC time). As we have already posted in other such cases in the past this means a major bullish signal for the price and indeed the price of Ethereum has since then rallied by more than 30%.